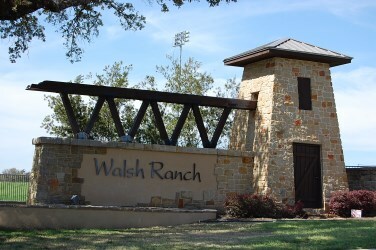 Walsh Ranch is a wonderful neighborhood located off of 3406 & Walsh Ranch Blvd. Popular home builders in Walsh Ranch include Gehan Homes, Taylor Morrison Homes, Highland Homes, and AVI Homes. These homes were built from 2006-currently being built. Amenities include a community pool and playground. It is also very near Brushy Creek Park which has a trails sytem that runs for miles, as well as tennis courts, swimming pool, and a playscape. For commuters, it has quick access to IH35, Sam Bass Road, and Toll Rd. 130 to Pflugerville, Georgetown, Cedar Park, and Austin. Shoppers will love being near the new IKEA, Round Rock Outlet Mall, Wolf Ranch in Georgetown, and The Domain in North Austin. Major employers nearby include St. David's Round Rock Medical Center, Scott and White, Seton Williamson, the City of Round Rock, and TECO-Westinghouse. Homes for sale in Walsh Ranch typically run from the low $400's - low $600's. Cactus Ranch elementary, Hopewell middle, and Round Rock high school.